You aren’t necessarily a pirate if you use torrents. This guide is available to download as a free PDF. Download The Torrent Guide for Everyone now. Feel free to copy and share this with your friends and family. Using torrents is not illegal if you are not downloading or sharing pirated content that is copyrighted. In all the ruckus about the ban on torrent sites, we forget that there are many more legal uses for torrents than illegal ones. Go to BitTorrent Now to see how creatives used torrent files to distribute their work to you. Amazon S3 supports the BitTorrent protocol so that developers can save costs when they want to transfer large amounts of data. Sites like Academic Torrents and even the Internet Archive use the BitTorrent protocol to help you download educational and historical files. Like cars or your butter knife torrents are simple to use. It’s your responsibility how you use them. Although it’s fairly simple, many people experience difficulties at the start. Even those that would call themselves “advanced users” often don’t know even half of what’s possible. This guide aims to guide you through the first steps and also present some cool tricks so that more experienced users get their fair share of worth as well. Most of us are more familiar with more conventional forms of file sharing, such as email and FTP. BitTorrent is just another file sharing method we can use. BitTorrent introduces a major difference. Whereas email and FTP rely on one computer hosting the file and transmitting it to connected computers, BitTorrent files are spread out over many computers using a technology called peer-to-peer networking How P2P (Peer to Peer) File Sharing Works How P2P (Peer to Peer) File Sharing Works Wondering what peer-to-peer (P2P) file-sharing is and how it got started? We explain what you should know. Read More . We can use BitTorrent to share or download any type of files: EXE, MP3, AVI, JPG, DOCX, etc. Let’s use the analogy of book sharing to illustrate how BitTorrent works. There is a book you want to read but you only have one chapter with you. You look around and find a friend who has a few more chapters. It still isn’t a complete book, so both of you search for few more guys around the block who might have the remaining pages. There are a bunch of guys and though nobody has the complete book yet, you can share the chapters among each other till all of you get a copy of the complete book one by one. On the internet, the “book” becomes the file you want to download. The file is broken up into little pieces or bits. Each of you has at least one piece so you start to download and share these “bits” until everyone has the entire file. Each piece that you (or someone else) downloads are available to all the others. At the same time, you are downloading some pieces while uploading others. Thus, you can all share rather than placing the onus on one computer to host the file and distribute it. These key terms will further explain how each part of the protocol works. Remember, the .torrent file is not the entire file. It is extremely small and it just contains the information that points to the actual file and the people who are sharing it. It is like a map which is used by the BitTorrent client to assemble all the pieces together. BitTorrent client: A BitTorrent client These Are the Best Free Mac BitTorrent Clients These Are the Best Free Mac BitTorrent Clients BitTorrent is one of the most efficient ways of sharing files via the internet, and the best Mac clients are all free! Read More is your downloader. It is the piece of software which takes the .torrent file, reads the information in it and starts the download. Torrent clients are available for all platforms including Android and iOS. On the iOS, you may have to jailbreak the phone. Peer: A peer is any computer participating in the download and upload of a torrent file. Seeder: A seed (or seeder) is anyone who has a complete copy of the file being shared across the torrent network. Leecher: A leech (or a leecher) is the person who does not have the complete file yet but has joined the network to download it. A leecher becomes a seeder when he downloads the entire file and then shares it across the network. Swarm: The swarm is the sum total of all the leechers and seeders (i.e. all the computers) participating in the torrent process. Index: An index is, as the name implies, a searchable list of .torrent files, hosted on a website. Share ratio: The ratio is the amount of data a user has uploaded divided by the amount of data they have downloaded for a particular torrent (UL÷DL). A share ratio greater than 1 has a positive effect on the user’s reputation because it means that the user has sent more data to other users than he has received. Conversely, a share ratio under 1 has a negative effect. Tracker: The tracker is a server which has the information of who has what files and who needs which ones, thus acting as a bridge between seeders and leechers. Some trackers are private requiring a registration where most are public. Before we get into the process and get our hands dirty, let’s pause and review the legality of torrents again. Even though the torrent protocol is technically legal, its abuse is at the core of the fight against digital piracy What Motivates People to Record and Upload Pirated Movies and Music? What Motivates People to Record and Upload Pirated Movies and Music? What do release group members get out of uploading the latest episode of Game of Thrones? We talked to a few and found out. Read More . Big Brother is watching your every move, so stay aware and stay clean. Peer-to-peer file sharing is completely legal, but using it to obtain copyrighted content is not. When you are dependent on downloads for your creative work or education, take the time to understand copyright laws Confused About Copyright Law? These Online Resources Can Help Confused About Copyright Law? These Online Resources Can Help It's a confusing subject, yes, but it's important that you wrap your head around it. If you're involved in any sort of creative work, these resources will help you do just that. Read More . In some countries it’s okay to download (use) material for personal use, but distribution makes it a punishable offense. With torrents, the water gets a bit muddied because the protocol makes everyone both downloader and distributor. There have been numerous cases where torrent trackers which index the torrents available have been shut down for infringing some country’s laws. Organizations like the Recording Industry Association of America (RIAA) and the Motion Picture Association of America (MPAA) have become proactive against many of them because it represents a source of piracy. Remember, downloaders can be pinpointed by their IP addresses, so the cloak of anonymity is not there to hide behind. The safest course of action is to follow the copyright laws as laid down. Browse to the copyright policy link of the respective tracker website; the better ones have it. A torrent client is a piece of software that is designed for peer to peer file sharing with the BitTorrent protocol. A good torrent client should be safe, reliable, and user-friendly. Here’s how easy it is to grab a solid torrent client, set it up, and download our first file. A simple Google Search will throw up some popular names. BitTorrent was the first torrent client and it is still going strong after 16 years of solid service. But you might want to look at the larger field and a few more options for your operating systems. A good place to get acquainted with the whole shebang is Wikipedia’s Comparision of BitTorrent clients. Or you can check out our articles on the best torrent clients for Windows The 4+ Best BitTorrent Clients To Get The Most Out Of Your Downloads The 4+ Best BitTorrent Clients To Get The Most Out Of Your Downloads BitTorrent is still a reliable and pretty fast way to download large files. It might not be the best method out there, but sometimes it sure is the easiest. The clients are straightforward enough and... Read More , best torrent clients for Mac These Are the Best Free Mac BitTorrent Clients These Are the Best Free Mac BitTorrent Clients BitTorrent is one of the most efficient ways of sharing files via the internet, and the best Mac clients are all free! Read More , and best torrent clients for Linux 5 Modern Linux Torrent Clients for Fast Downloads 5 Modern Linux Torrent Clients for Fast Downloads There are several high-quality torrent clients available for Linux users. After a few days of research, I'm confident that I've found the perfect one. Are you using it? Read More . Chromebook users can try tools like JSTorrent and Bitford Downloading Torrents on a Chromebook Downloading Torrents on a Chromebook Has the Chrome OS finally managed to catch up to its rival operating systems to provide a high-quality BitTorrent client? MakeUseOf investigates… Read More . There are many free and lightweight software available. Some clients are ad-supported (including BitTorrent’s official client) and you have to pay to remove the ads. The download is small at 2.74MB for the Windows version of BitTorrent Free. If you are installing BitTorrent for the first time, just follow the screenshots. Installations of the other BitTorrent clients are also similar. A torrent client is no different from any other software. You can take it out “straight from the box” and run it. Or you could change a thing here and there to give it a smoother run. BitTorrent includes a Setup Guide that can help you test your bandwidth and configure the client for maximum performance. Go to Options > Setup Guide (or use Ctrl + G). BitTorrent recommends that you follow the steps in order. It tests your bandwidth for upload speeds. BitTorrent will try to upload at your maximum speed, so you have to find out how much it is and cap it a specific limit to avoid choking your connection. Choose the closest location from the dropdown. It tests and verifies your router settings. When BitTorrent runs for the first time, a port is automatically selected for you. A port is where your computer receives the communication signals from the outside network. This test checks if the port is open for traffic or there is some configuration issue. Later in the guide, we will dig into the Preferences screen and optimize your BitTorrent for speed and performance. Search engines are cagey about promoting torrent links on the search results page. This is another front in the battle against copyright infringement. Earlier in 2017, Google and other search engines worked on a voluntary anti-piracy code. Policing has got stricter with search engines and ISP’s honoring genuine takedown requests. The discussion is not against torrents, but against piracy sites. Google and other internet continue to deindex them from their search results. SEO traffic to dubious sites are cut off and torrent sites, in general, do not find a place in the search results. For instance, The Pirate Bay is banned in the U.K and India among other countries even though these torrent sites and meta-search engines also host legal content (e.g. LibreOffice and various Linux distros). Which torrent sites should you go to? If you were miffed with The Pirate Bay closure, here are some reliable Pirate Bay alternatives Top 6 Free Torrent Alternatives for The Pirate Bay Top 6 Free Torrent Alternatives for The Pirate Bay The Pirate Bay shut shop. But there are lots of alternatives out there. You just need to know where to look. Here are the top six torrent sites other than The Pirate Bay. Read More . SkyTorrents: A clean privacy focussed torrent site without ads. Zooqle: A clean interface with nearly three million verified torrents and counting. You can sign-up to manage your torrent downloads on the site. Torlock: A torrent download site with 100% verified torrents. Torlock pays its users $1 for every fake torrent they discover but I couldn’t verify this claim independently. SeedPeer: A fast and clean site with a large catalog of three million verified torrents. Demonoid [Broken Link Removed]: A well-known name that has survived the churn. The only downside is that Demonoid is a private torrent community and you need to register when slots are available. 1. Hop over to any of the torrent sites and search for your desired torrent file. For instance, the screenshot below is from Sky Torrents. Enter your keyword. Remember, a torrent file is nothing but a small 15-100KB file which points to the contents of the whole file and the people in the swarm. These .torrent files are uploaded by torrent sharers around the web. 2. Choose a healthy torrent link to download from. Usually, it will be one that has a high number of seeders and peers. Some torrent sites also display an icon that shows it has been verified as “clean” by the community. It is always a good idea to go through any comments contributed by the community below the link. 3. Click on the torrent link. The tiny “.torrent” file is downloaded to your desktop in a couple of seconds. You can also click the icon of a magnet that is a magnet link for the torrent. A magnet link is a server-less way of downloading the torrent information. Instead of a torrent file sitting on a server somewhere, you download it directly from a peer. Most torrent websites carry both options. Many sites have moved to magnet links exclusively because you can then download the torrent even if the original tracker is down or closed. 4. Browse to your saved .torrent file and double-click it to open the file with your torrent client. You can also use the menu of the software to add the .torrent file for download. Or alternatively, drag and drop the .torrent file into your software window. With a magnet link, the torrent client will automatically launch the torrent client. Now, your software begins the download by first connecting to the tracker server to find out who else is downloading the same file and which bits they have. 5. The tracker server identifies the users participating in the share and labels them as either seeders or leechers. Look for a torrent with a higher number of seeders. The ratio of seeders to leechers is the share ratio and a higher figure makes for a healthier (and faster) torrent. 6. The download begins, but if it starts slowly, don’t be alarmed. Gradually the speed picks up as the swarm increases. The time to complete the download will depend on the file size, the speed of your connection and the quality of the swarm. After your download finishes, you may enjoy the file you just got. Now after all that hard work if you are thinking of deleting the leftover .torrent file and closing the client software just pause here. This single selfish act is known as a “hit and run” (HnR or H&R) in the torrent community and is a cardinal sin of the torrent world. Hit-and-runners are called “leechers” by the torrent community. Strictly speaking, a leecher is one who does not have a complete copy of a particular file yet. A leecher turns into a seeder only when he starts sharing his completed copy with the rest of the swarm. Tip: Do your downloading at night so that by the time you wake up you have downloaded your file and you would have uploaded your share too. Make it a habit to scour around for any comments left by earlier downloaders regarding the quality of torrents. Download torrents from a reputable website or join a private tracker. Private trackers moderate the quality vigorously but then they are equally rigorous with their rules. Try to avoid downloading files which have been split and zipped into a mass of kilobyte sized files. Commonly they are fake torrents. Always read the rules and the copyright policy of the website you are downloading from. Don’t download pirated software or computer game files from unsafe public torrent sites 10 Easy Ways to Never Get a Virus 10 Easy Ways to Never Get a Virus With a little basic training, you can completely avoid the problem of viruses and malware on your computers and mobile devices. Now you can calm down and enjoy the internet! Read More . You started with an idea about torrents, a torrent client and a net connection. With the help of some search engines, you got to your first .torrent file and downloaded with success your first file. Now just like a good handyman, you need to find the best software for your OS to go from a torrent newbie to a torrent ninja. Security Software: Your firewall and anti-virus software The 10 Best Free Antivirus Software The 10 Best Free Antivirus Software No matter what computer you're using, you need antivirus protection. Here are the best free antivirus tools you can use. Read More will be the first line of defense against bad torrents. Archiving Utility: Many files are compressed before they get uploaded. You will need a fast extraction software to de-compress them. WinRAR and WinZip are common but I would recommend you take a look at 7-Zip an excellent free alternative along with PeaZip and Zipware. Media Player: Torrents are often the best way to exchange public domain movies and audio files. Any good media file installed on your system can handle the variety if they have the right codecs installed. VLC Media Player is still the best open-source media player out there. Also, check out this select list of the top media players for Windows and the best media players for Mac. VLC is common on both lists. What’s the point of the torrent protocol when the download speed resembles a turtle in a sack race? The download speed depends on a few factors and some of them are within your control. Let’s see how you can optimize your torrent client with a few nips and tucks to the settings. The screenshots below come from BitTorrent on Windows 10. But torrent clients share common settings and it won’t be difficult for you to go under the hood. To optimize your torrent download speed, you have to know your maximum download and upload limits. You also have to find out if your ISP is throttling the use of torrents in any way. There are several ways you can check if you are getting the bandwidth you paid for Are You Getting The Broadband Speed You're Paying For? Are You Getting The Broadband Speed You're Paying For? How fast is your Internet connection, really? Your Internet service provider quotes you speeds, but how do you know if you’re actually getting the speed you’re paying for? You can find out using one of... Read More . It is more important to measure the health of the internet now as Net Neutrality curbs get dismantled in some countries. Note down your download and upload speeds. This will be important in a little while. The Internet Health Test by Battle for the Net is a website you should bookmark to measure your bandwidth and report if you spot any issues. The speed test takes less than a minute to complete. If you are in Europe, then check out Respect My Net which is a platform to report net neutrality violations in the EU. Alternative speed test tools like Speedtest are available too. Your own computer may be snacking on your bandwidth. If you see a consistent drop and the fault isn’t with your ISP, then look at these reasons for a drop in your internet speed What's Using My Bandwidth? 5 Tips to Monitor Home Network Usage What's Using My Bandwidth? 5 Tips to Monitor Home Network Usage Is something draining your internet bandwidth capacity? Check and troubleshoot what is using your bandwidth with these tips. Read More . TCP Optimizer 4 is a tiny free program that can optimize your internet connection. The FAQ is available on the linked page. Some clients are feature-packed while several are as simple as possible. You also might prefer a cross-platform torrent client that you can configure easily across all your machines. BitTorrent and uTorrent have existed for a long time but now they are loaded with ads, so I prefer using lightweight torrent clients Beat the Bloat! Try These Lightweight BitTorrent Clients Beat the Bloat! Try These Lightweight BitTorrent Clients Guns don’t share illegal files. People share illegal files. Or, wait, how does it go again? What I mean to say is, BitTorrent shouldn't be dissed based on its potential for piracy. Read More . For Windows: Take a look at Tixati or qBitTorrent, which are open-source software and have all the core features you want. I haven’t tried it yet, but there are some polished clients like FrostWire and BitLord which you can also look at. For macOS: Transmission was the best torrent client for macOS but it was hit with a few security issues. 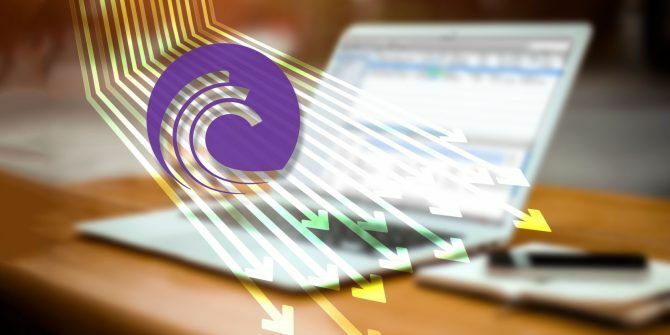 But alternatives to Transmission 4 Transmission Alternatives for Mac BitTorrent Users 4 Transmission Alternatives for Mac BitTorrent Users Transmission was struck with malware twice in one year, so you might want to consider a new Mac torrent app. Read More are plentiful. For Linux: Ubuntu comes pre-installed with Transmission. There are a number of good torrent clients available. qBitTorrent again finds the top place. Take a look at the other modern torrent clients for Linux 5 Modern Linux Torrent Clients for Fast Downloads 5 Modern Linux Torrent Clients for Fast Downloads There are several high-quality torrent clients available for Linux users. After a few days of research, I'm confident that I've found the perfect one. Are you using it? Read More . Torrent Clients on the Cloud: Today, cloud torrenting is secure, anonymous, and fast. You can access your files from anywhere. Offcloud, Bitport.io, Put.io, and Seedr.cc provide well-rounded services. A good torrent is one where the number of seeders is higher than the number of leechers. The more seeders, the healthier your torrent will be, so choose a torrent the seeder-leecher ratio is high. On many sites, you will find them marked with a green badge which usually signals that it is also verified by the community. Firewall software hate torrent connections and often block it. They can also block the download of the torrent client itself. As a first step, add an exclusion to Windows Defender or any other security software you have installed. Go to Options> Preferences> Connection > Add Windows Firewall exception. Click Apply and OK.
Never shut down your antivirus and firewall as they are your first line of defense against malicious downloads. BitTorrent uses the default ports 6881 to 6999. As torrent connections spark a lot of traffic, ISPs try to throttle the bandwidth on these ports. Good torrent clients will let you change the ports so connections are unrestricted. Change it to another range or randomize it every time. Apart from the ones needed for essential tasks like email and browsing, most ports are blocked by default by routers to prevent malicious connections. If the home computer is behind a router, the ports have to be opened through the feature called port range forwarding What Is Port Forwarding & How Can It Help Me? [MakeUseOf Explains] What Is Port Forwarding & How Can It Help Me? [MakeUseOf Explains] Do you cry a little inside when someone tells you there’s a port forwarding problem and that’s why your shiny new app won’t work? Your Xbox won’t let you play games, your torrent downloads refuse... Read More to enable torrent traffic. Our brief tutorial on how to increase your torrent download speed 5 Ways to Increase Your Torrent Download Speed 5 Ways to Increase Your Torrent Download Speed For many people, the distributed peer-to-peer download power of torrents isn’t all it’s made out to be. If you’re feeling drowned in fake files, choking from ISP speed throttling, and sick of being told you’re... Read More with proper port management is written in a simple way. Think of your bandwidth as a highway which is trying to handle rush hour traffic in both directions. If you do have a reason to limit your maximum download and upload rates then do so. For instance, when you are streaming or gaming online. But don’t set it too low as it will throttle your own download rate. TorrentFreak recommends a simple calculation. But you can just set a lower percentage than your maximum and experiment. You can see the setting when you go to Options > Preferences > Bandwidth > Global Upload Rate Limiting / Global Download Rate Limiting. But to get the maximum speeds, it’s better to set both at “0” which is the unlimited or the maximum permissible rate allowed by your ISP. The BitTorrent protocol which works on the value of “fairness” identifies you to the swarm according to the quality of your bandwidth. If your speed is too low, then you will be automatically grouped with similar peers on slow connections. In short, you get back what you put into the swarm. I don’t worry too much about upload speeds but instead work with a small batch (queue) of active torrents to improve the overall health. Note: BitTorrent asks for Kbps under “Maximum upload and download rate” and not Mbps. Use a bandwidth conversion tool like ToolStudio or use the Google Search bar trick for the conversion. The number of connections is the essential part of a BitTorrent optimization. These can be set from Options > Preferences > Bandwidth. Global maximum number of connections gives the maximum number of connections that a BitTorrent client can make for any P2P exchange. Setting this too high does not mean higher speeds. Setting it too high would take up useless bandwidth and too low a figure would miss out on peers. Maximum number of connected peers per torrent gives the maximum number of peers that a BitTorrent client can connect to for any P2P exchange. Number of upload slots per torrent gives the maximum number of peers that your client will upload to for any P2P exchange. These upload slots go to peers who are missing part of the download that you have. Too low and it will affect your download speeds as well. Use additional upload slots if upload speed <90%. Enable this checkbox for healthy uploads. As most of us are (probably) operating with speeds above 1 Mbps the default settings are recommended for all users: a 200/50/4 configuration for around 8 active torrents (which can be configured from the Queueing section). I don’t like to set a higher number for the maximum number of active torrents and active downloads because it also increases the read-write operations on the hard drive while I am working on other tasks. Fiddle around with the settings. Torrent downloads are dependent on your bandwidth and the peer network. So, there is no size fits all. The worst that can happen is your torrent speed will slow down but you will gain an idea of what works for your bandwidth. This method is useful when you have several simultaneous downloads and you want to speed up one of them. It is also helpful to free a slot if you have a limit for the maximum number of active downloads. Right-click on the torrent download you want to prioritize. Go to Bandwidth Allocation and choose your priority level (for e.g. High). Do remember this won’t help if the torrent health is bad. It also won’t help if you set all your downloads to High priority. Try to update torrent trackers and see if it increases the number of peers and seeders. More peers help to boost speeds. Torrent trackers do this by publicly announcing the IP address of all peers sharing the file. Extra peers can come from other torrent trackers on the web. And, you can add them to your present tracker list. Right-click on the active downloading torrent and click Update Tracker. You can also find other tracker lists on the web. Then, right-click on the downloading torrent. Go to Properties > General tab. Paste the tracker URLs at the end of the existing tracker list box. Let’s say you want to run the torrent at full speed when no one else in the family uses the internet. Most torrent clients also have a scheduler that helps you set a speed a limit, cancel the speed limits, seed only, or stop torrents at specific hours of the day. Go to Options > Preferences > Scheduler. Tick the checkbox for Enable Scheduler. A grid of green boxes turns from gray to green. The grid has one box per hour and covers Monday through Sunday, midnight to midnight. The labels below the grid indicate the status you can apply to each hour by clicking on the grid boxes. For instance, light green boxes indicate limited download and upload rates. You can click on the boxes to cover the specific time slots and limit your connection during those range of hours. Torrents rely on the community and healthy exchange of files. As a responsible member, you should give back as much as you take. A torrent client can help you do this automatically by setting a share ratio. Private torrent sites encourage a share ratio of 1:1 which means that you’ve downloaded exactly the same amount of data as you’ve uploaded. You can automatically stop sharing at this specific ratio. You get to save bandwidth and time instead of constantly checking on your uploaded share. Go to Options > Preferences > Queueing > Default Values. Set the Minimum ratio to 100% (which is a 1:1 sharing ratio). Alternatively, you can set a Minimum seeding time in minutes. Set the action for When BitTorrent Reaches the Seeding Goal. A value of “0” automatically stop the seeding when the share ration is achieved. ISPs often limit bandwidth to get over peak congestion at specific times of the day (usually, weekends and evening). A simple setting called Protocol Encryption in most of the torrent clients helps to override this bandwidth shaping. With protocol encryption, ISPs find it difficult if not impossible to detect that the traffic is coming from BitTorrent. Go to Options > Preferences > BitTorrent > Protocol Encryption > Enabled. Experiment with Enabled, Disabled, and Forced options because you could be getting better speeds with encryption disabled. Also, it can reduce the total number of available peers and even make some downloads impossible. The BitTorrent protocol uses the RC4 encryption cipher which is very weak but enough to pass a deep packet inspection by ISPs. Also, the protocol encryption won’t hide your IP address. For that, you will have to use a VPN which uses the industry standard AES encryption to cover your tracks and routes your traffic through another remote server. A virtual private network will encrypt all your traffic and not only those from torrents. The strong AES encryption cannot be decrypted by your ISP or other snoops easily. There is also no need to change any setting on your torrent client. You just need to install a VPN client and there are many cheap but secure VPN solutions available worldwide. For Torrenting, we recommend ExpressVPN and CyberGhost. But be sure to check out our list of best VPNs for torrenting The Best VPN for Torrenting: ExpressVPN vs. CyberGhost vs. Mullvad The Best VPN for Torrenting: ExpressVPN vs. CyberGhost vs. Mullvad With hundreds of VPN providers out there, it can be difficult to find the right one to meet your needs. For torrenting, you'll want to stick to one of these. Read More . A seedbox is another alternative to bypass torrent connection blocks 5 Ways to Unblock Torrent Connections When a Torrent Isn't Working 5 Ways to Unblock Torrent Connections When a Torrent Isn't Working Here are some effective ways you can bypass torrent connection blocking by ISPs to unblock and download legitimate torrents. Read More . These are dedicated virtual servers that are also encrypted. A seedbox manages your torrent downloads and then transfers the downloads to your computer via a normal download. We have mentioned a few seedboxes in an earlier section too. There’s a community behind this file sharing protocol. And, it isn’t a one-way street. To be a true peer to peer member you should share your own torrents. It is easy with the help of the same torrent client you use to download any torrent. Again, remember that it is not about bootlegging illegal content. It is just a useful way to share a large digital file The 15 Best Ways to Share Files With Anyone Over the Web The 15 Best Ways to Share Files With Anyone Over the Web There are many ways to share files between people and devices. With these 15 tools, you can share files quickly without app downloads, account registrations, or any cloud storage setups. Read More with the public without storing it in a cloud folder. Open BitTorrent (or any torrent client). Look for the menu button that says Create New Torrent (or go to File > Create New Torrent). The Create New Torrent box opens up. For uploading a single file click on Add File and for uploading a bunch of files in a folder click on Add Directory. Browse to where you have kept the files (or folder) for upload. Include these as your source files. Fill in the Trackers under Torrent Properties is an important step towards finishing your torrent upload. You just have to copy paste a list of trackers (more specifically called the announce URLs) and these are available on some reliable websites. For instance, TorrentFreak has a list of trackers you can use. GitHub has a regularly updated list of public trackers too. A Google Search will net you many more. If you decide to list more than one, put a blank line between each URL by hitting Enter twice. Check the Start seeding box and click on Create. You can leave this unchecked if you don’t want to seed right now. Select the Preserve file order option when you want to maintain the folder structure for the downloaders. Don’t select the Private torrent box (unless you’re using a private tracker). Save the torrent file with a nice descriptive name. As soon as you save your torrent file, it gets added to your active list in BitTorrent, and the status should say Seeding or Finished if you start seeding right away. Upload the .torrent file to a tracker website like Piratebay (though the site is legally frowned upon) or a legal torrent site 11 Online Sources to Find Legal Torrents 11 Online Sources to Find Legal Torrents Recent events have seen well-known torrent directories like BTJunkie closing their doors or being threatened with closure, leaving many people wondering about the legalities of torrents and which directories are still open to find them... Read More like Legit Torrents or GameUpdates. All tracker websites have an Upload link or a button. Usually, they require a log-in for you to access their upload page. Please read the rules and the copyright policy before you upload your .torrent file. Share the link with your family, friends, or the community. You can also make your own private torrent and share it only with friends and family. But this involves a few more steps and right now is outside the scope of this basic beginner’s guide. The peer to peer network grows without limits as every new player not only takes from the network but also gives something back. Today, we see how the protocol has evolved into blockchain technology and decentralized apps. These technologies are not only giving us a wealth of digital content but fundamentally changing the world. As part of the swarm, it is up to us to follow the rules of the game. Explore more about: BitTorrent, File Sharing, Longform Guide, VPN. All well and good. But how about a section discussing the etiquette of hogging the entire connection, thus rendering other computers on the same network total bricks? One person in my ex's household runs utorrent 24 hours a day - and the rest of the family can't even view 2 minute Youtube videos? I redid the QOS settings, but he discovered how to disable them. I am ready to drop a dime on this bird with the copyright folks. I appreciate your hardwork in writing this article. I appreciate your hard work in writing this article ? How to download 15GB file in Android phone ?? ?